"I feel that the apple cider makes this jerk marinade unique, and a bit untraditional. Being from the apple country of Virginia, the apple cider was a natural. For added flavor, add apple or hickory wood chips soaked in water on top of the hot coals. You can begin grilling when the chips start smoking. Grilled pineapple goes well with this as a side dish." 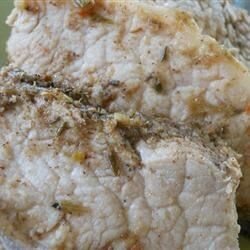 See how to use jerk spices to make perfect jerk pork tenderloin. I was surprised how easy it was to prep and my family was astonished I made it. My husband said it's better than our fav restuarant dish. This was a good recipe, but it was spicy enough. This had great flavor, but I thought it would have been a little spicier. I am definately going to continue experimenting with it though, because it has a lot of potential. Really tasty, though I reduced the amount of habanero due to preference. I served it with jamaican peas and rice. Really Good, Used dried Spices. Highly seasoned!